SUGAR IT’S A-POUT TIME! 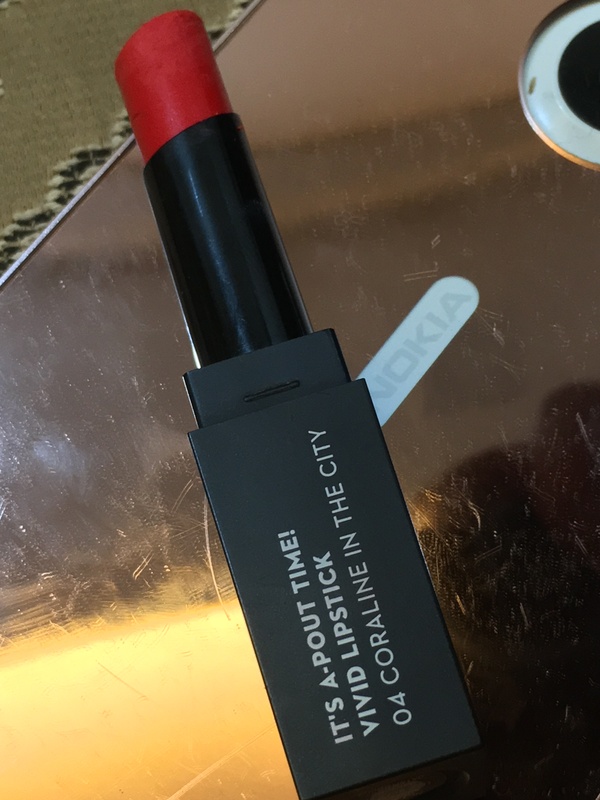 VIVID LIPSTICK – CORALINE IN THE CITY (ORANGE-CORAL Rs 599 for 3.5gm). In one to two swipes, the lipstick gives good coverage with a reasonable pay off that goes on to last 3-4 hours easily, post which the color fades gradually from all over – leaving a beautiful visible hue of the lipstick behind. 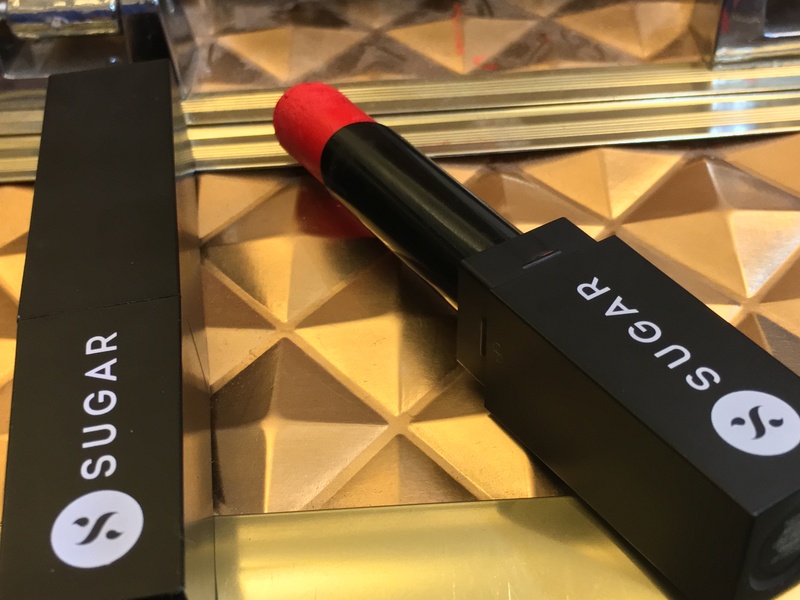 It has a creamy texture but unlike other creamy lipsticks available in the market, it doesn’t cross the boundaries of the lips or settles into the fine lines. 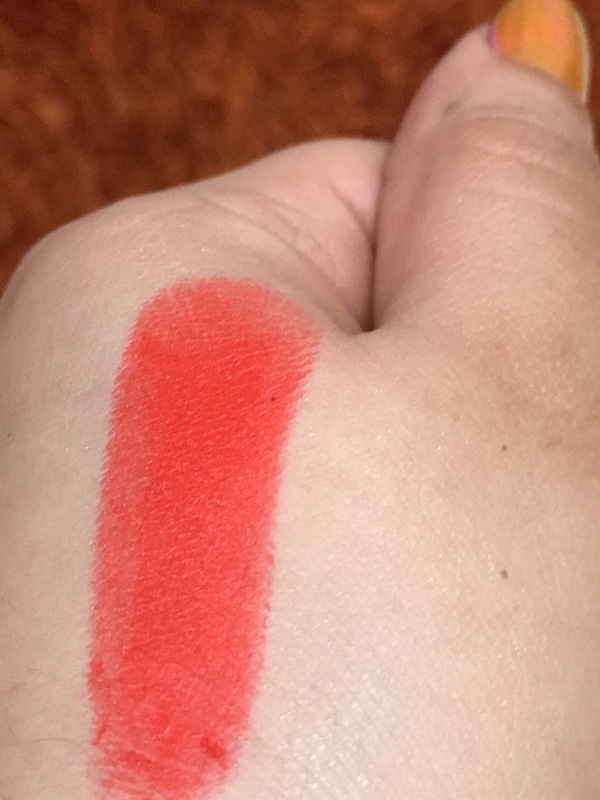 I often use it without a lip liner and it gives a semi-matte finish. The finish, for first couple of minutes, is very satiny and shiny, gradually going towards a matte that feels comfortable on the lips. 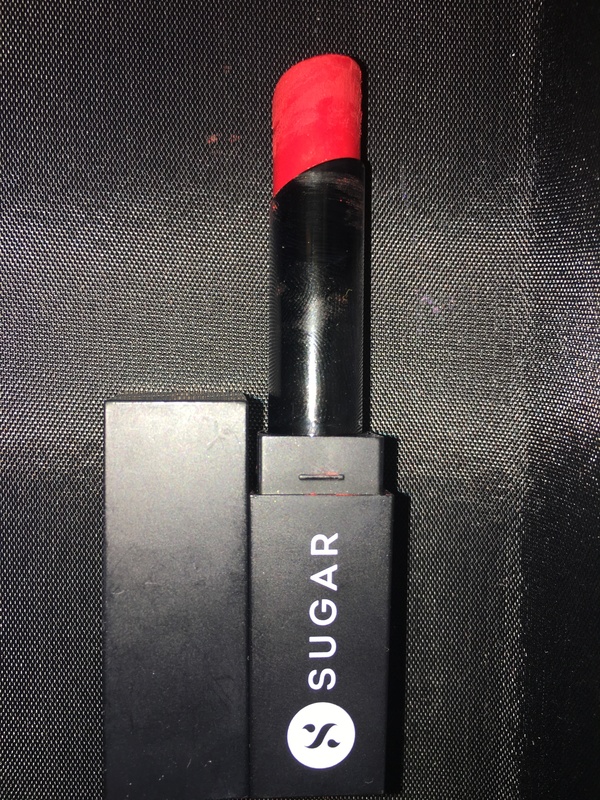 The lipstick is non-transferable and has a slight waxy feel to it. It has a faint vanilla scent, which fades away after a while. It is close to being a bright orange shade and helps in perking up the freshness of my skin color, leaving a fresh, youthful tint. It has sturdy black and bold look, which makes the packaging stand apart from other lipsticks in my makeup vanity. Longevity of the lipstick is great. It is free of mineral oil and parabens. It does not bleed on or after application. The pigmentation and coverage is good. It is quite affordable and is great for both summers and winters. You cannot afford to have chapped lips when applying this lipstick. Make sure to moisture your lips well with a lip balm and then apply the lipstick. It requires touch up every 3-4 hours. The packaging is uniquely cute, but it doesn’t have a shade indicator making it difficult to spot the shade. Always moisturize your lips well before applying this lipstick. Start applying the matte lipstick from the center of the upper lip moving outward towards the corners. Blot your lips with a tissue and reapply.